Fast Response! We will clear the toughest clogs! If your drains are backing up because of hairs clogs, grease clogs, or root intrusions; you need to call the Montrose plumbers, The Rooter Drain Expert. Some clogs can be clear without special tools, but the toughest ones go beyond drain cleaning liquids and the plunger. We have the best assortment of drain cleaning tools in the plumbing industry, no clog is tough enough for our arsenal. Read our dedicated pages for The Snake Drain Cleaning Machine, and our most powerful tool The Hydro Jetter Drain Cleaning Machine. Corrosion is an eventuality for metal pipes. Copper, galvanized pipe, cast iron, all metal piping will corrode, and accumulate mineral buildup. If your house is more than 30 years old and you have metallic sewer pipes, an inspection is overdue. 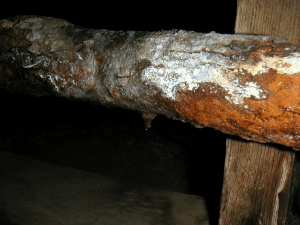 Corroded pipes can start leaking and bad odors can start emanating from around your house. 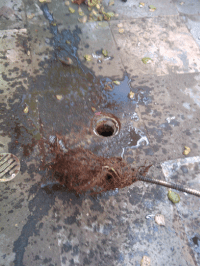 Camera Inspection are a preventive tool, and they can save you from unprogrammed long disruptions of your sewer drain. A camera inspection saves you time and money. Our trench-less technology will save your garden or driveway, it can reduce excavation by up to 95% and reduces excavation time to less than a third. We are the Montrose plumbers and we will serve you with honesty and promptness. We are licensed and we know everything we need to know about our industry. We see our Montrose clients as members of our communities and as our neighbors, and that is the reason why we excel in customer service. We encourage you to visit Wikipedia- Montrose CA to learn about Montrose and its people and culture.